The bus seemed to break down for a few minutes not far away from town. I was attempting to take a photo of the view without being spotted by other passengers but I accidentally held my book right in the middle of the shot. 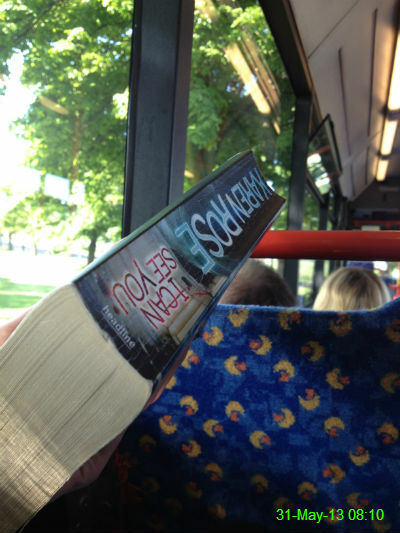 Oh well, it's a good book, and thanks to the bus waiting in the same spot for a few minutes I got some extra reading time. I must bump my elbows about 3 times a day (I'm sure door frames deliberately move inwards when I approach) but today, when I was already running late, was the first time an elbow wound ever started pouring with blood. 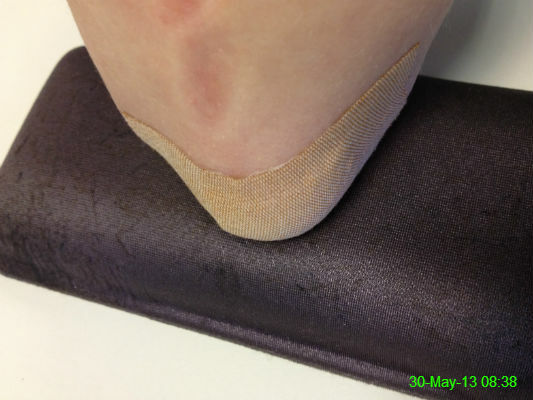 I felt like Mr Bump with this plaster on. The random mark above the plaster is just where I was leaning against my desk prior to taking the photo.. honest. Well I had to buy a t-shirt, didn't I? 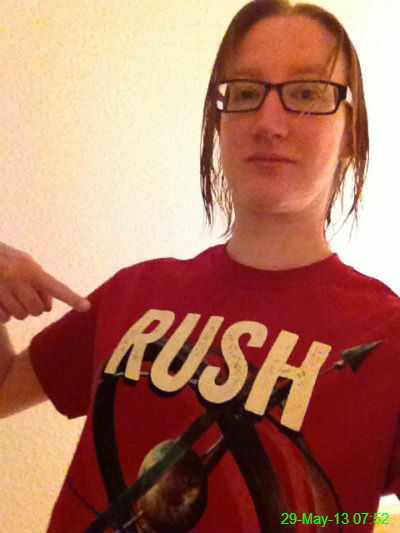 This was the third time I'd seen Rush, this time in Sheffield, and as usual they didn't disappoint. 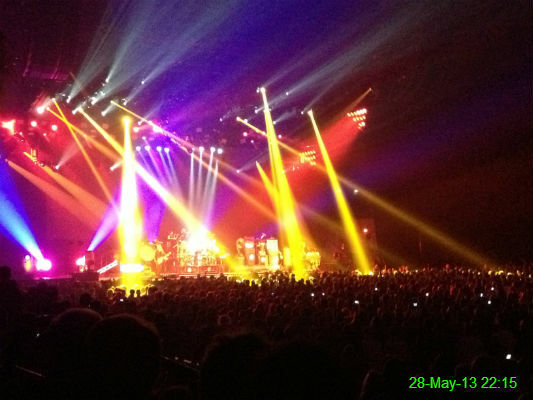 Their setlist was fantastic and incorporated a perfect mix of old and new material. 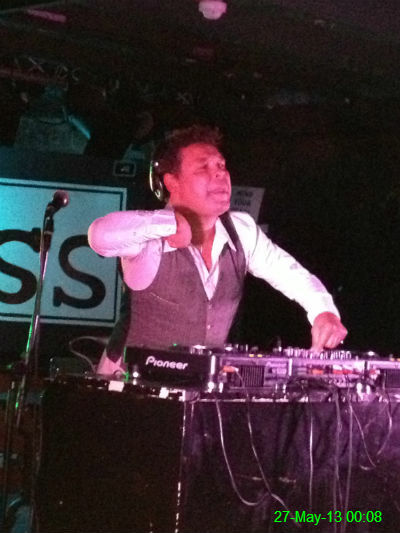 One of the slightly more bizarre points of our weekend away - going to see a Craig Charles DJ set at The Duchess. He played some pretty good tunes but I think it's safe to say my clubbing days are behind me because I was pretty tired by the time we left. 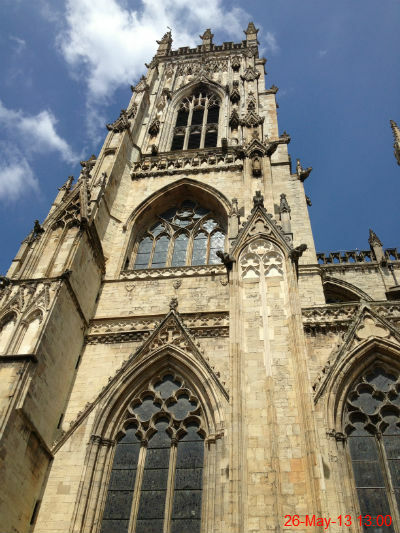 We spent a gorgeous day sightseeing in York. 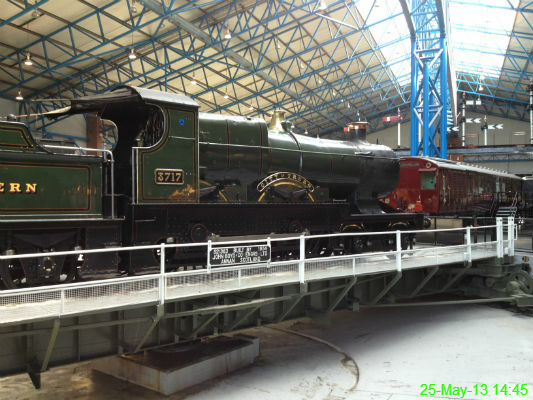 I wasn't expecting to enjoy this museum in York, but it was surprisingly interesting. 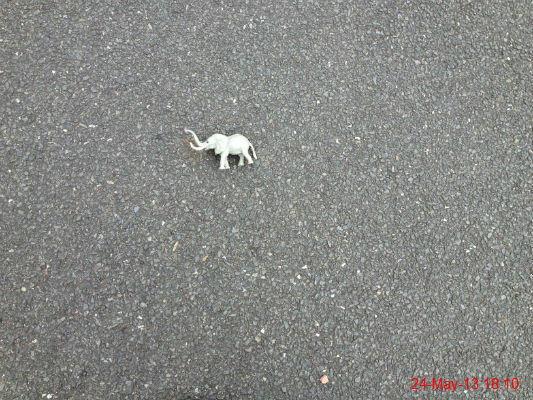 I found this small toy elephant on the pavement outside our house. I was tempted to steal it, but I thought that might upset a child and naturally I wouldn't want that on my conscience. 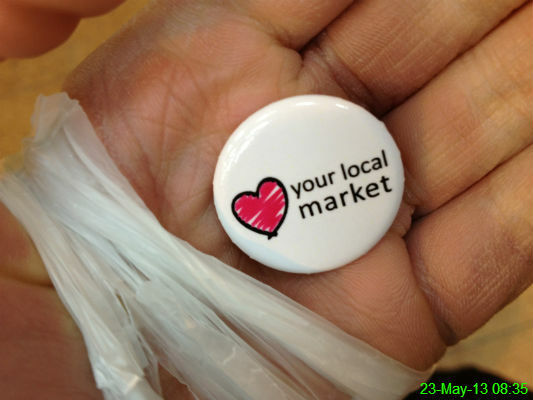 I was given a free badge at the Weigh House today, to remind me to love my local market. I've got no time for loving markets, I'm far too concerned about the fact that my hand looks like it belongs to an 80 year old woman - dry and wrinkly. As if the news wasn't depressing enough, social media gives everyone a voice and as usual, all sorts of people have crawled out of the woodwork tonight with ridiculous and embarrassing comments. 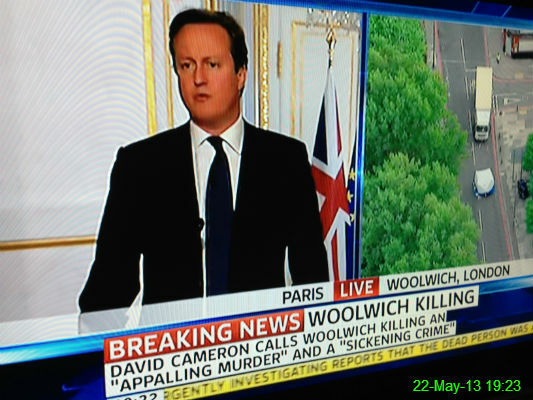 I despair. I like giraffes. I like dogs. 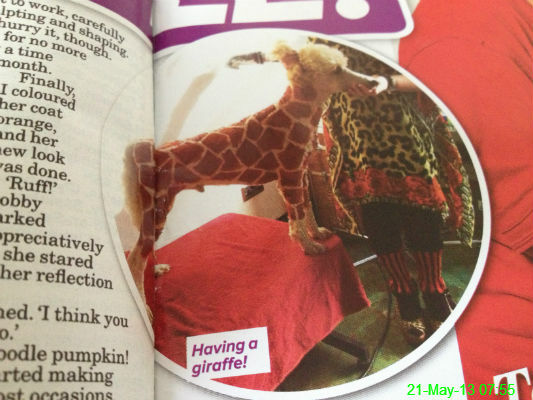 However, this magazine picture of a dog groomed to look like a giraffe is pretty terrifying, if you ask me. 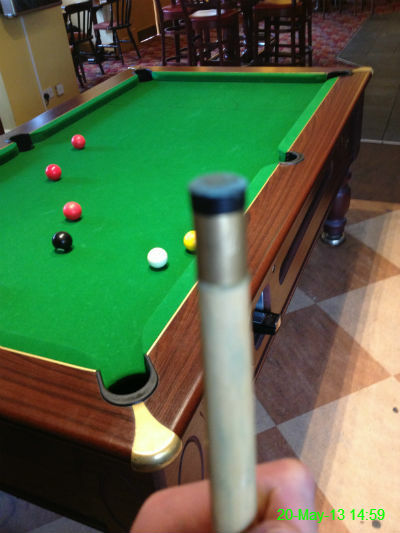 We had the day off work so went along to The Plough for a few games of pool. I'm still terrible. 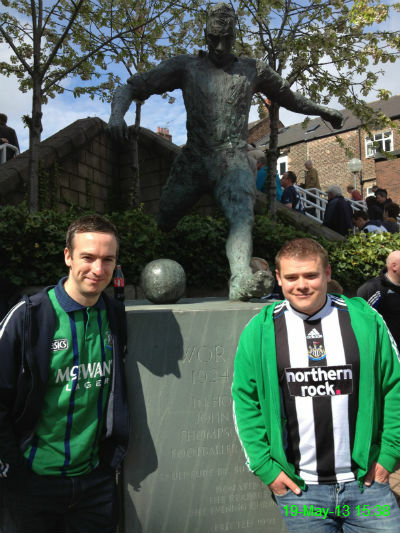 Matty and Michael with Jackie Milburn before the last match of the season, which we lost 1-0 to Arsenal. I've had these tracksuit bottoms since I was in Sixth Form, so a good ten years. They've got this awful lining that sticks to my legs when they get the tiniest bit sweaty. By about halfway through this morning's kettlebell workout I didn't have a full range of motion because my legs were sticking to my trousers so much, making it impossible to bend my knees fully! 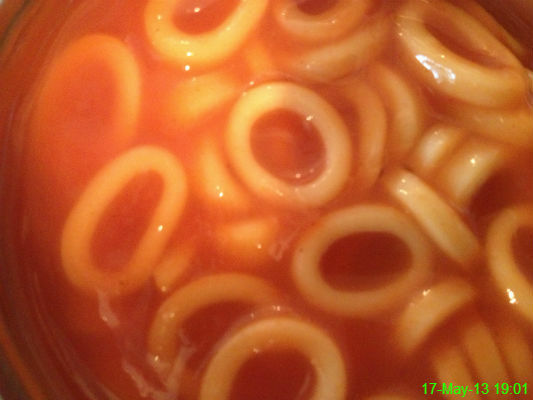 Spaghetti hoops are like little halos that go in my mouth. Or something. 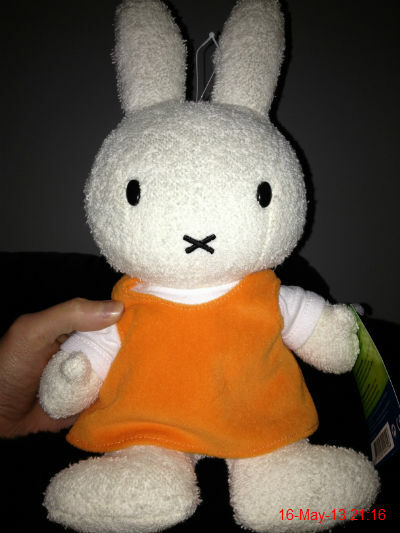 Michael brought me an adorable Miffy back from Amsterdam! 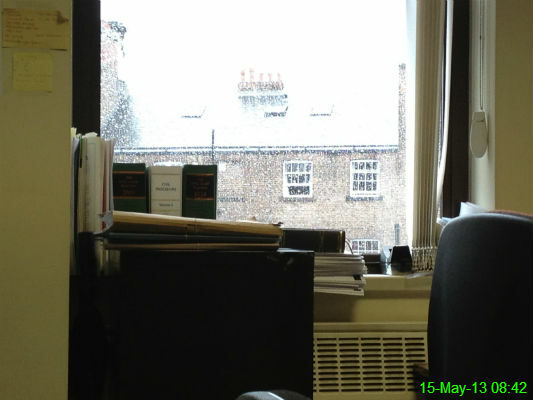 I was almost pleased to be at work this morning because I got absolutely drenched outside. 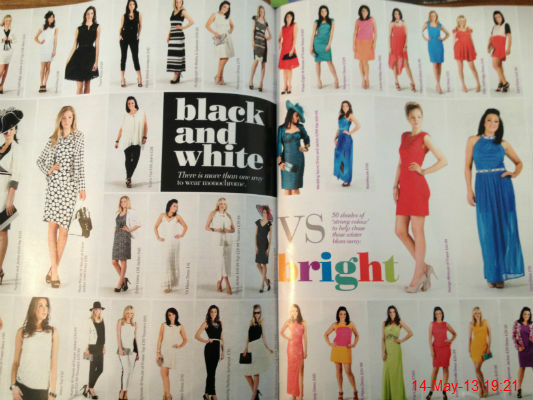 I have no interest in dresses but I did like the way this feature was set out on the page. This magazine also taught me that the Metrocentre is now called "intu Metrocentre", which I had no idea about. 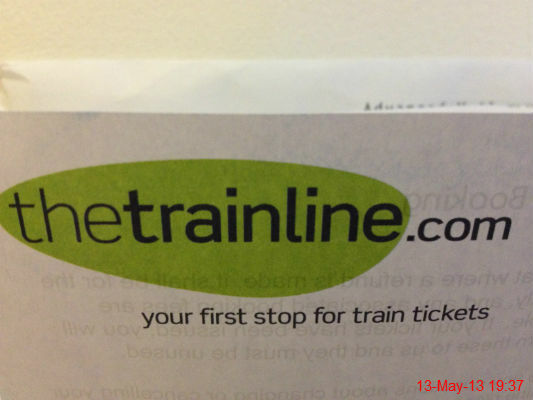 We're going to York and Sheffield over the next bank holiday weekend and the train tickets have arrived. 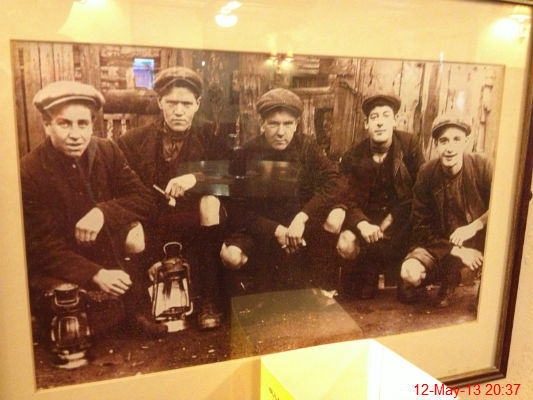 I don't know who these gentlemen are but they're on the wall in The Travellers Rest, Camperdown. Some of them look happier than others about having their picture taken. 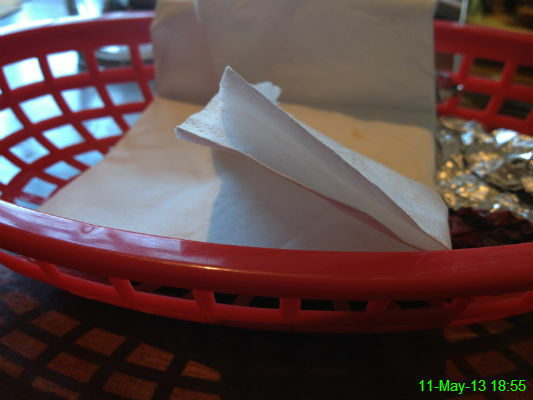 I ordered a chicken burrito at the Newton and it arrived in what can only be described as a mini washing basket. It was nice though. 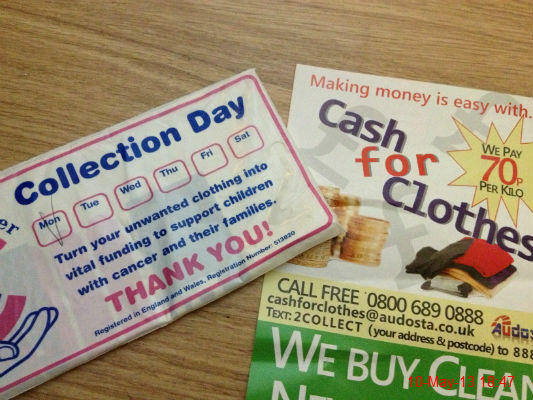 These both came through the letterbox at the same time and I think it's some sort of test of character. 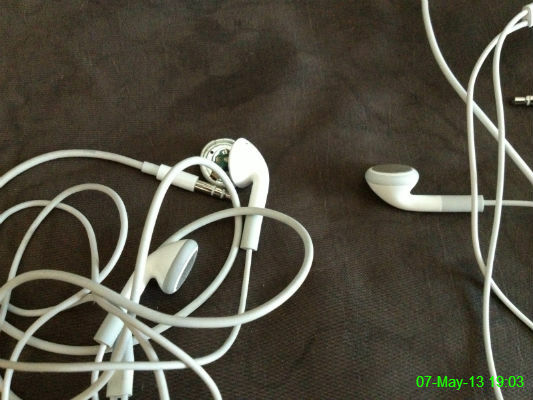 I probably failed, because I binned them both. 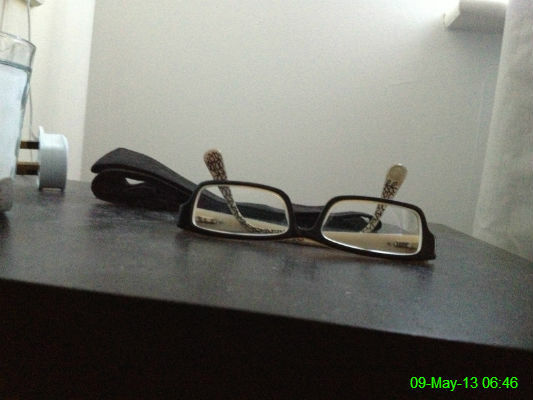 As I am extremely short sighted, if this isn't the first thing I see when I wake up then panic immediately sets in. 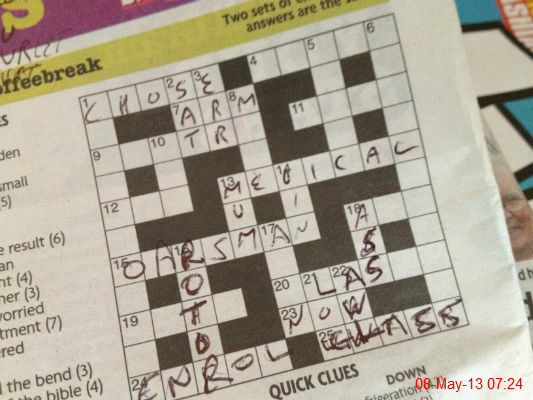 We started this crossword last night but haven't been doing very well so far. The headphones that came with my iPod are finished, but thankfully I got a nice new set with my iPhone so I don't need to shell out for a replacement. 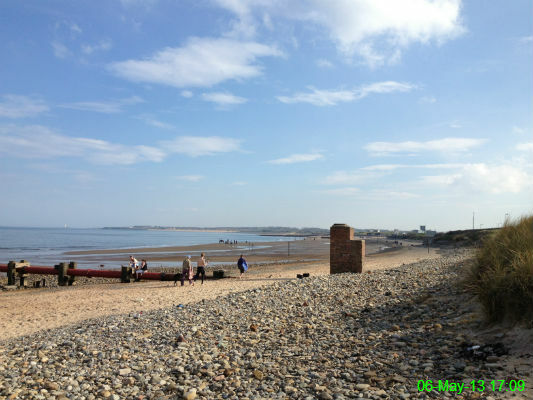 I went for a walk along Blyth beach on this bank holiday Monday with Michael, Mick and Travis the dog. We weren't quite brave enough to venture into the sea. 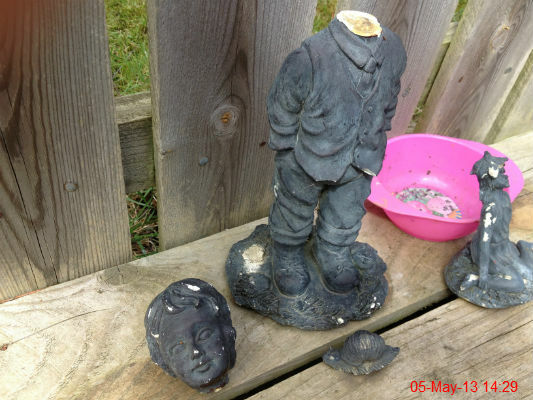 This little chap in Kathy's garden has seen better days. My sister is my favourite number! 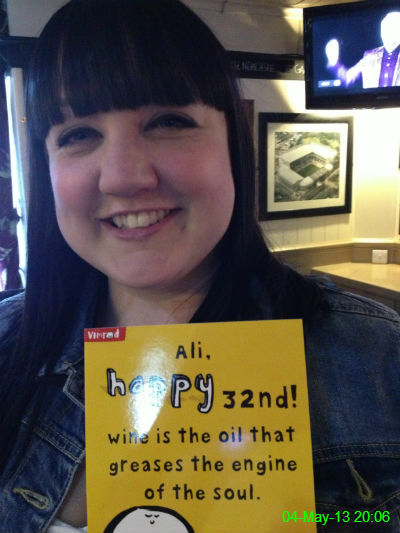 Ali is 32 today. 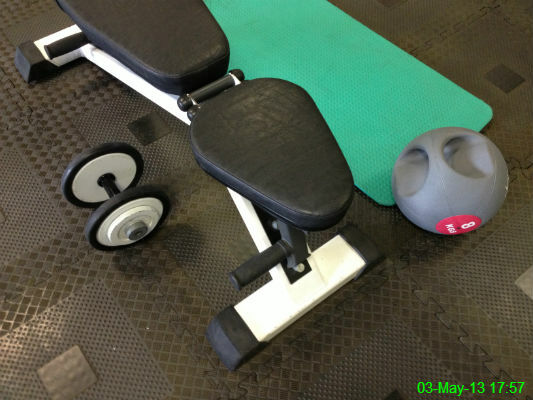 Bench, mat, 12kg dumbbell, 8kg medicine ball. What more could I possibly need on a Friday night? Oh of course, a life. 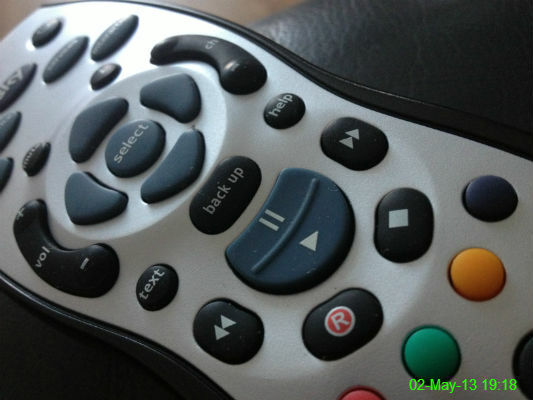 I spent this evening hogging the TV remote to catch up with my recorded shows - Shameless, Major Crimes and Home & Away - followed by the final of Masterchef 2013. 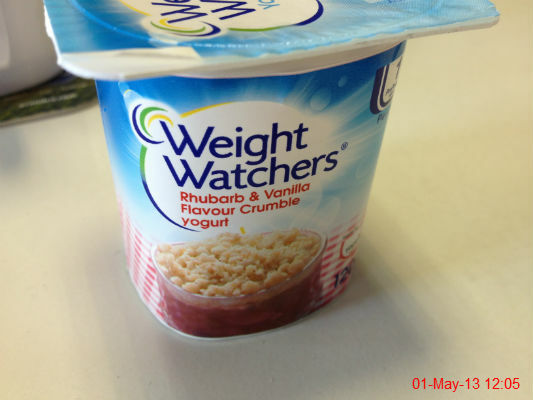 I've never had this flavour before so it was the highlight of my day.